Located only 1.3 miles from the heart of Downtown Pigeon Forge, you'll find "Rays Inn," an affordable 2 bedroom cabin that's just off of Wears Valley road. 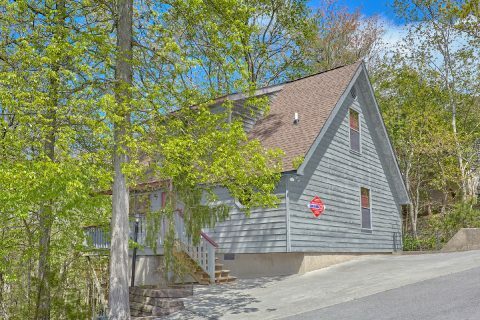 With a prime location near top local attractions and room for up to 6 guests, this lovely cabin rental is ideal for a family vacation or a fun getaway with friends! With exciting destinations like The Island, Dollywood, and Alcatraz East Crime Museum only a short drive away, you'll have no trouble finding fun things to do and see during your vacation. 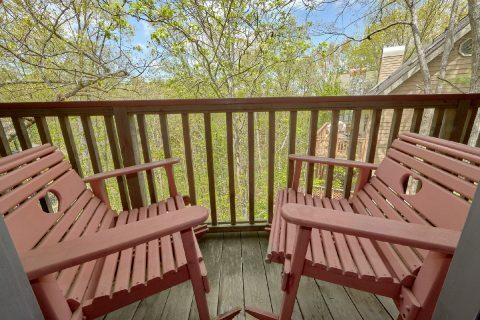 Better yet, since this rental is just off of Wears Valley Road, it's easy to access the peaceful mountain community of Wears Valley, a famously picturesque town in the Smokies that's known for its impressive mountain peaks. Additionally, Wears Valley also provides an entrance to the Great Smoky Mountains National Park known as the Wear Cove Road entrance. 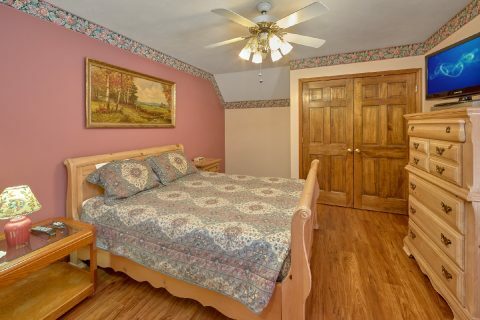 When you aren't busy exploring fun attractions on the Pigeon Forge Parkway or hiking in the national park, you'll love relaxing at this peaceful cabin that's only minutes away from all the action! 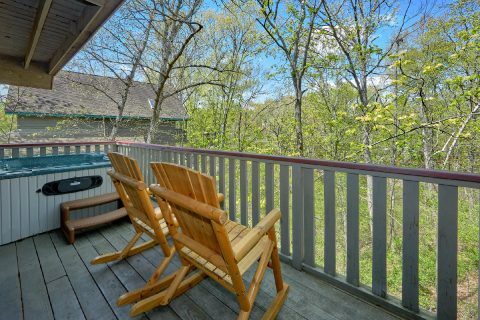 Better yet, this cabin's resort area provides seasonal outdoor pool access, so you can enjoy a refreshing swim during your stay! 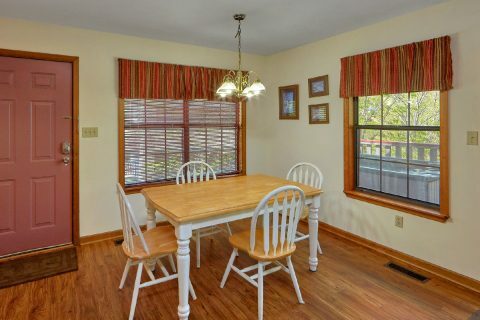 As soon as you enter this welcoming cabin, you'll be glad you found such a great getaway for your stay. 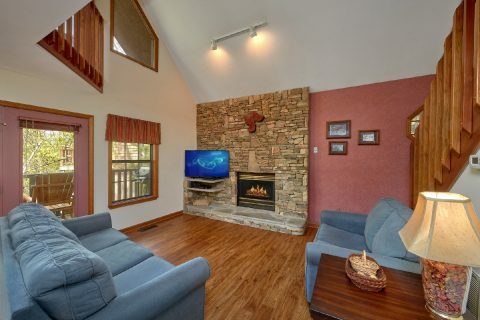 The main level features a comfortable living room complete with a gas fireplace and television. 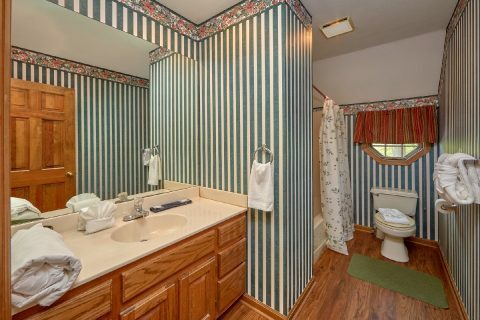 Out on your cabin's deck, you can always enjoy a soothing soak in your cabin's hot tub. 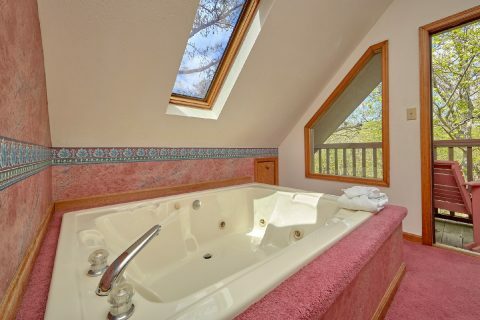 For a jetted bath indoors, the upstairs loft area provides an indoor jacuzzi tub. 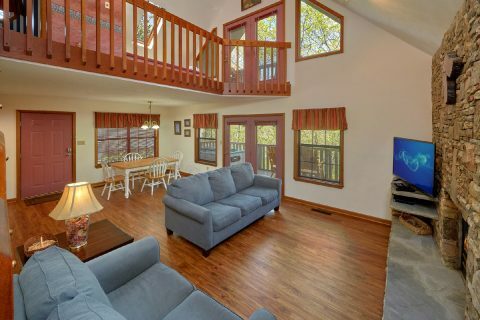 For some fresh mountain air, you can always step outside onto the loft's private balcony to enjoy your cabin's forested view. 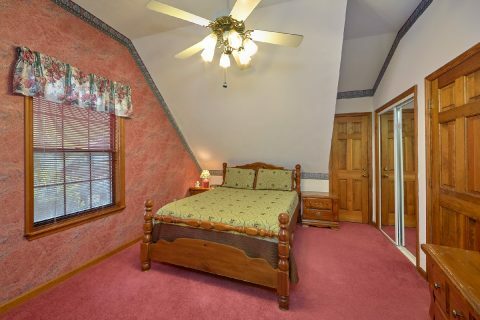 With 2 private bedrooms and additional sleeping space "Rays Inn" can sleep up to 6 guests in comfort. 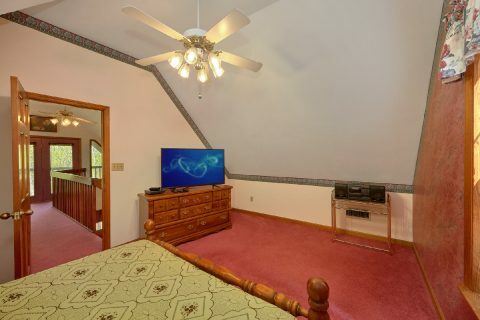 The main level is home to a bedroom with a queen bed, the upper-level bedroom comes with a queen bed, and the main level living room provides a sleeper sofa. 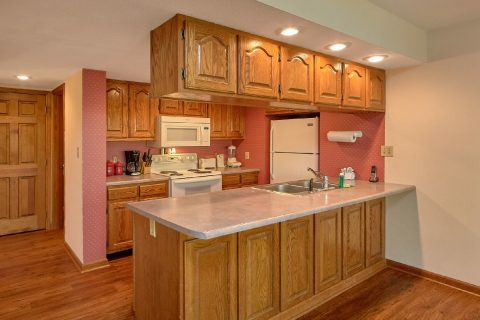 With a full kitchen, gas grill, and dining area, this cabin can help you save on your vacation costs by giving you the option to prepare delicious meals in the comfort of your rental. 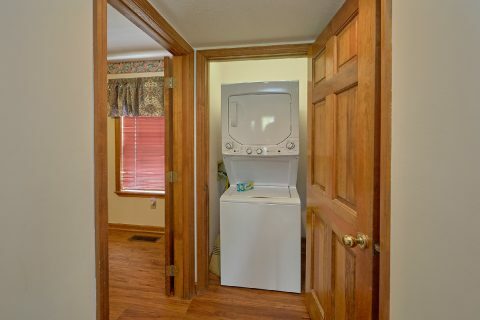 Last, but not least, "Rays Inn" provides guests with wireless Internet access and a washer/dryer. 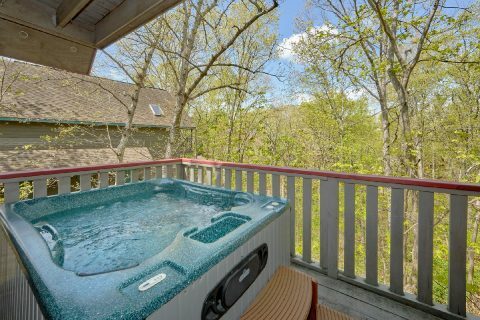 Book this comfortable cabin that's only minutes away from the Pigeon Forge Parkway with Cabins USA and you'll save 15% on your nightly rate on your cabin vacation in the Smokies!